Cooking made FUN @ CulinaryOn! Originating from Russia, CulinaryOn gives you a cooking experience like no other! In the span of 3 hours, you get to whip up a 3 course meal alongside friends or family with a professional chef to boot! What’s more, you’ll get to eat the fruits of your labour! We had the honour of having Chef Giuseppe D’angelo, a former judge on Masterchef Junior Russia, lead our class. The session started out with him assigning us individual tasks to start preparing our first dish, shrimp pasta! He had some of us slicing tomatoes, de-shelling shrimps and chopping garlic. When all the ingredients were prepped, he moved us over to a station to make our very own pasta! We made the dough ourselves and put it through a pasta maker to achieve even strips. 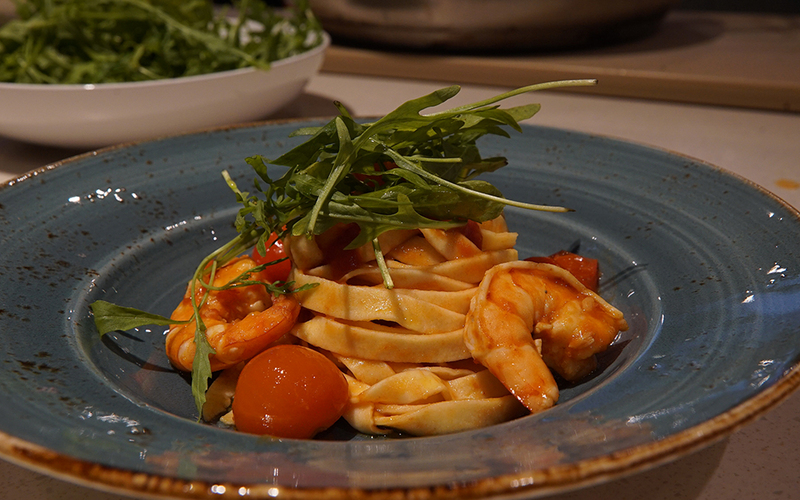 Once the pasta was done, Chef Guiseppe flambéed the shrimps and other ingredients together. The result was an impressive fire display and a very yummy dish! Next up! We made a chocolate lava cake and vanilla bean ice cream from scratch. We melted chocolate and butter over boiling water and slowly whisked it into some flour to create a smooth batter for the lava cake. While the mixture went into the fridge, we started on the ice cream! 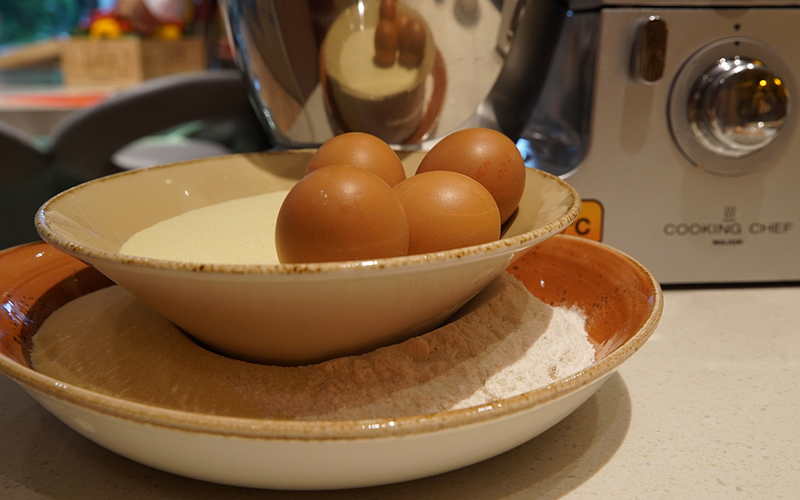 The ingredients were put into an electric mixer and blended together. What came next was the best part, Nitrogen!! Chef Guiseppe poured a huge bowl of dry ice over the mix to harden the ice cream. 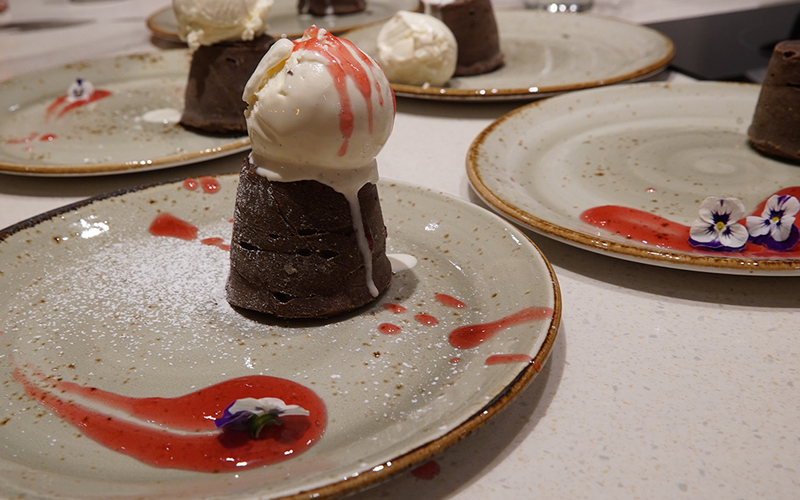 We then began to scoop the ice cream onto plates with the lava cakes and decorated them ourselves! The whole experience was educational and we never thought cooking could be so fun! Each studio is fully equipped and comes with a bar along with an extensive selection of wine, liquor and assorted drinks to keep things fun! The chefs are incredibly friendly and will turn even the most clueless of people into master chefs! 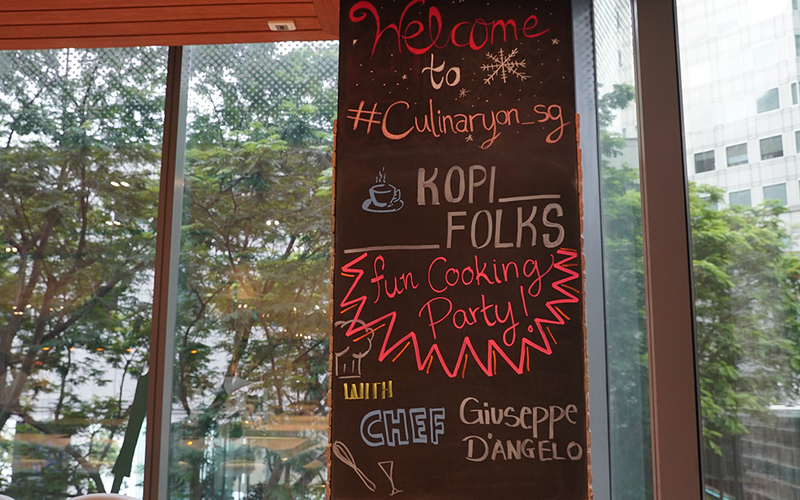 Don’t forget to check them out at culinaryon.sg for more details on their classes and cuisines offered!